I am ecstatic to announce that the amazing blogger @its_justellen has nominated me to take part in the Harry Potter tag. Being such a huge fan, I’ve wanted to do this tag since I read Cassie’s post, so I’m sending a massive thank you to Ellen. Check out her incredible blog here. According to Pottermore, I’m in Slytherin! People may say that this house has a bad reputation but I’m proud of this result because Slytherin creates strong leaders who are proud, ambitious and cunning. The best of the best was formed in this house (Merlin!) Also, I think their common room is the prettiest. However, I’m not sure if I look good in green but the colour matches my eyes. I took this test on Pottermore and got a dolphin! I’m not going to argue with that. I absolutely love dolphins and I’ve always wanted to swim with dolphins. They’re such an incredibly intelligent animal, so I’d be happy to have one as my guardian. Ebony wood, 12.5″ in length with a phoenix feather core and slightly yielding flexibility. I can’t say I’m happy with this. Ebony is a bit of a boring wood and doesn’t look very attractive and my wand isn’t as strong as I’d like it to be. However, phoenix feathers are beautiful and my wand is surprisingly long so it’s not all bad. I think, like Molly Weasley, my boggart would be the corpses of my family and friends. This is a terrifying thought to me because I hate the thought of my loved ones being hurt and seeing something like this would be my worst nightmare. I’m really terrible at sport. I tried in P.E at school but chose to just stick to writing. Therefore, I’d probably be the keeper, staying out of everyones way. Well, my mother isn’t a fan of Harry Potter, my father likes the films and my step-father is a big fan and has seen all the films and read most of the books. So, if were going from these facts, I’d say I’m half-blood. I think, like most of the main characters, I’d like to return to Hogwarts to teach. I’d love to specialise in the control of magical creatures but I’m not sure I’d be very good at it. I’d 100% choose the invisibility cloak. Think of all of the fun I could have if I was invisible but also it would give me everlasting protection. I’ve got to choose the Goblet of Fire. I loved reading the book and the Triwizard Tournament had me hooked. I think I read this book the fastest over all of the others. I honestly can’t choose, I’ve never disliked any of the books. I’ll say Harry Potter and the Cursed Child because I still haven’t gotten round to reading it yet! Got to be Deathly Hallows Part 2 because that’s when Hermione and Ron first kiss and I’m soppy and enjoy things like that. But it also ties a lot of knots for me and feels a bit like a goodbye to all of the characters. 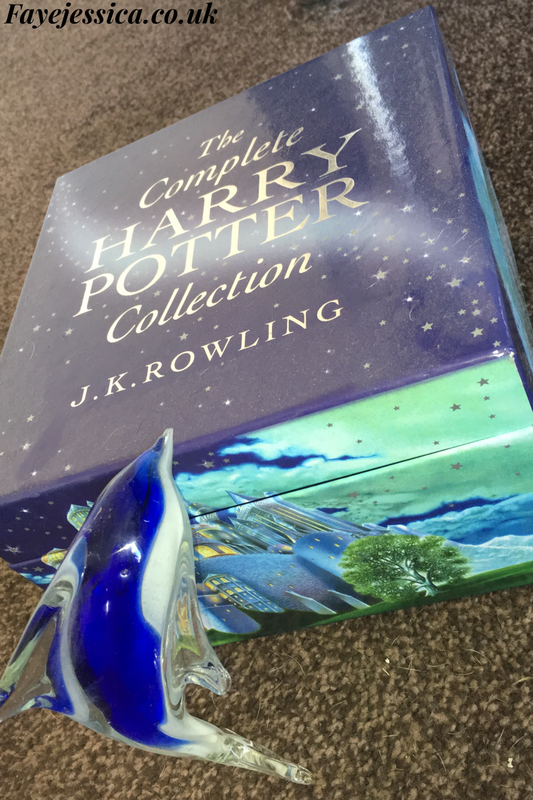 Unfortunately, it has got to be the Goblet of Fire. It just didn’t live up to the books standard for me and I’m never really as interested in watching it again as I am with the other films. How can I pick just one! ?… It’ll have to be Luna Lovegood. She’s just so wacky, has a crazy sense of style and has “an aura of distinct dottiness.” I was always just mesmerised by her character and I think Evanna Lynch played her perfectly. She’s always really nice to everyone and she always seems to know what to say to cheer people up. We should all be a bit more like Luna. Dolores Umbridge. I can’t stand her or anything she stands for. Minerva McGonagall. I feel like she’s severely underrated. She’s an amazing role model for young women, particularly Hermione and I think she holds a degree of female power which is good considering most of the power appears to come from males. She also has a stern exterior but really she’s a lovely person and I’d love to have her as my teacher. I mean… It’s got to be Snape, right? I love to hate him. But, you have to really don’t you. I think Harry should have married Luna and not Ginny. Discuss in the comments below. I had SO much fun writing this post, so I really hope you’ve enjoyed reading it. I nominate a fellow Harry Potter fan @laura_jayyne to have as much fun as me. Can’t think of a fave/least fave book – I need to read the series again, honestly. Unpopular opinion – Dobby (in the movie) was really obnoxious. Just to answer a few. Ahh thank you💜💜 please do one I can’t wait to read yours!! I agree, am Slytherin all the way! OMG THAT POST… I love love love love you so much now!! I’m such a huge Potterhead. I love Harry Potter! You’ve seriously made me want to rewatch all the movies! I think slytherins just get a bad name due to some bad characters! I love Luna! She’s an incredible character! I always loved Harry/Ginny in the books, although the movies kinda ruined Ginny’s character.